Judy, a quiet yet thoughtful, recent EAL intermediate-level arrival, found her voice by embracing her role as the town hall facilitator for the radio station and is now the president of the High School Futures Public Radio club. She has since interviewed up and coming Brooklyn musicians Overcoats and continues to work on campus stories centered on issues such as transitions from MS to HS and stories on the wellness components involved in the school cafeteria. Judy's happiness, positive energy, engagement, leadership and language development is clearly evident in all of our FPR workshops and her published pieces. Evan was a student with identified challenges with oral and written expression. He would often spend a considerable amount of time searching for words, which left him unable to respond to questions or to actively participate in class discussions. Though a wonderful kid, his academic self-concept was low because he was quiet and afraid to speak out in front of others. Evan’s experience with Futures Public Radio has helped to strengthen his processing, develop his word-finding skills, build his spoken confidence, improve his turn around and response time, and allow him to shift from being a behind-the-scenes leader to a verbal leader in Futures Public Radio. His confidence and leadership on the technology team, during live broadcasting, and through rich interviews is invaluable. These skills have transferred over into his academic content classes, and in significant growth in standardized measures of academic progress. Futures Public Radio has given Shawn almost everything he is passionate about: Project-based learning, challenging investigations, mastery of cinematography, inspiring non-fiction reading, leadership opportunities, and choice. In more traditional classroom settings, Shawn, while non-disruptive, would often find himself frustrated by the limitations of a more straightforward approach. 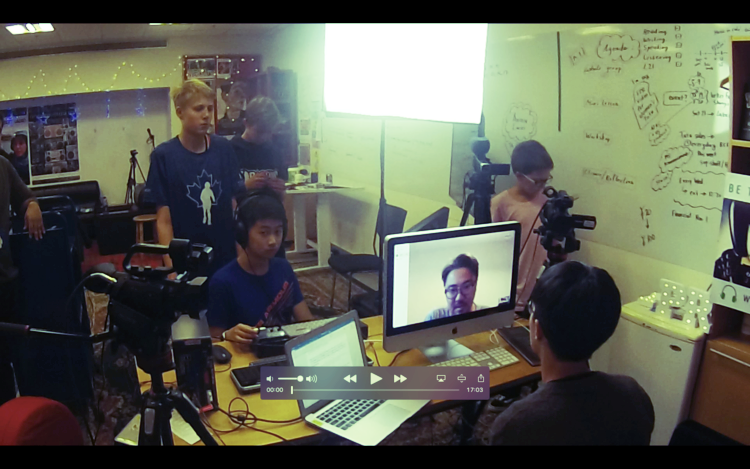 Since becoming the FPR Middle School President, Shawn has led media literacy workshops for teachers and students in Beijing and Shanghai. He also produces and facilitates a number of the higher profile stories for FPR, including being the only student TED Teacher Talk presenter at the Middle School Back to School night 2017. Shawn has also produced, presented, and published a number of innovative projects through his work in Futures Academy, a project-based, integrated classroom at ISB. To be honest, I'm a bit obsessed with trying to embed global citizenship into international school classrooms. At ISB, my colleagues know that my teaching practice and philosophy hinges on getting students to interact compellingly with sustainability goals, global contexts, and authentic action. Over the past decade, I've attempted to find many ways to consistently link citizenship and standards, and I think I might have found something special in Futures Public Radio (FPR). After being involved with in-depth service work while teaching in Peru, I agreed to design a global citizenship enrichment class in Malaysia, which sparked a website and a rich bank of resources and classroom evidence. Later, I co-curated a Global Issues Network (GIN) conference and school residency with Water for South Sudan, fifty middle school students, and the Jump! Foundation that to this day remains one of my happiest moments in teaching. And while still teaching at ISB, I've been able to co-found the Occupy Middle School (OMS) consultancy group and teacher collective. It's been amazing to collaborate with teachers who see that our opportunity at international schools includes a moral imperative to empower our learners with literacy in sustainability, empathy, action, and service. The beautiful result that I have discovered is that students, across all ranges, including my EAL classroom, address global and local challenges with passion, without losing content and language objectives that we as educators might fear. In fact, the published, community-driven work is of the highest quality. After a GIN conference three years ago, I was inspired but frustrated by the difficulty in finding a sustainable media platform for students to remain connected around their community work and stories. I remember preparing breakfast and listening to National Public Radio (NPR) when an idea occurred to me: Why not use NPR as a mentor model for an international school community radio platform for storytelling, investigative journalism, and sustainable student networking? Futures Public Radio provides an authentic community voice for International School of Beijing students, empowering them through literacy skills and real-world, local and global investigations. ISB's FPR highlights the worth of investigative journalism to build seekers, critical thinkers, and problem solvers. We embrace our roles as truth seekers and engaged journalists who work to best serve our community and be a civic force. We aim to question, inform, and unite, celebrating community, service, and high-quality, publishable storytelling and reporting. Two exciting results of the FPR endeavor have followed: One, for teachers, the FPR workshop and storytelling process provides an active and authentic classroom, linking richly to content and language objectives and standards. Secondly, the positive effect FPR has had on our diverse learner population is exceptional. 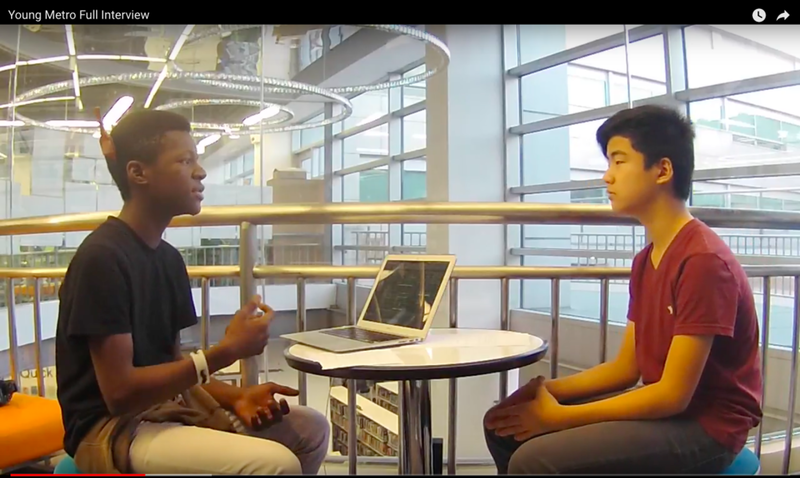 In providing a safe and authentic publishing platform, where multiple takes and post-production are part of the craft, EAL and learning support students thrive compared to other public speaking clubs such as theater and MUN. FPR is an empowering outlet where collaborative, media, technological, storytelling, and civic literacy is developed with attention to voice and choice, intentionality, detail, and craft throughout the journalism process for all learner populations. For creative students looking for unique opportunities to extend, FPR has provided powerful opportunities for high-level development in cinematography, student-led media literacy workshops, leadership, in-depth interviewing skills, and networking grounded in citizenship. Our student journalists take our two mottos to heart: "Everybody has a Story" and "Be the Voice of the Future". If you or your school would like to inquire about starting a public-service media program like FPR on your campus, or if you are intrigued by the possibility of collaborating in becoming an FPR member station, please contact us.